In the weeks leading up to the vote, the establishment media in the UK has regurgitated every trick and trite line in the Smear 101 book with the perhaps implicit aim of avoiding this eventuality. Whether it was through Channel 4's Despatches, which sought to malign the 'hard left' grassroots Momentum movement by creating and then exposing allegations of the mishandling of the personal data of its 'entryist' members, or BBC's Panorama where Corbyn was cast in a deep red with festering designs to renationalise absolutely everything, there has been a clear media campaign waged (again) against this most refreshing of political winds. And even now — even now — there are cries from all corners that 'the man is unelectable'. No politician in recent times, no democratically elected leader of a parliamentary party has come under such a barrage of abuse intended to undermine public trust, distort the reality, influence the majority and ultimately retain the monopoly held by the current government (with its unelected leader) than has Corbyn. Even his own colleagues, seemingly oblivious to the vox populi appear at best as bland exponents of the bland centre left, and at worst as Tory sleeper cells in the Labour right. But some might say that all this is a good thing. If the Brexit vote earlier this summer was anything to go by, the level of trust that the UK citizenry places in the incantations of the establishment is at an all time low. In a breathtaking dud move, a vote-hungry David Cameron opened himself up to the collective jab and eventually received the democratic equivalent of a hot poker. The population knows now that if this government advocates something, then, without being too petulant, they should probably do the opposite. The spinners and PR gurus in Westminster know this too and have desperately tried to close the gulf between privilege and poverty by uploading 'GrammarSchools.mp3' to Theresa May's database. A clear message indeed even if nobody anywhere from Land's End to Loch Ness, not even Stephen Fry, knows what 'Brexit' actually means. This uncertainty continues unashamedly as thousands of disabled people suffer the effects of welfare state reform, and the brightest new talent in the NHS bears the brunt of Jeremy Hunt. Slipping the Trident renewal through in the post-referendum daze and selling off the nation's energy needs to China at Hinckley Point are hardly, in the minds of many, fair trade. In the Labour Party the Blairites appear increasingly like a desert island or an ageing vessel, lost at sea somewhere between the Lisbon Treaty and Chilcot. And as 2020 shimmers on the horizon and the UK continues bravely, and perhaps blindly into unchartered waters, there is no doubt that the parliamentary Labour Party is divided. 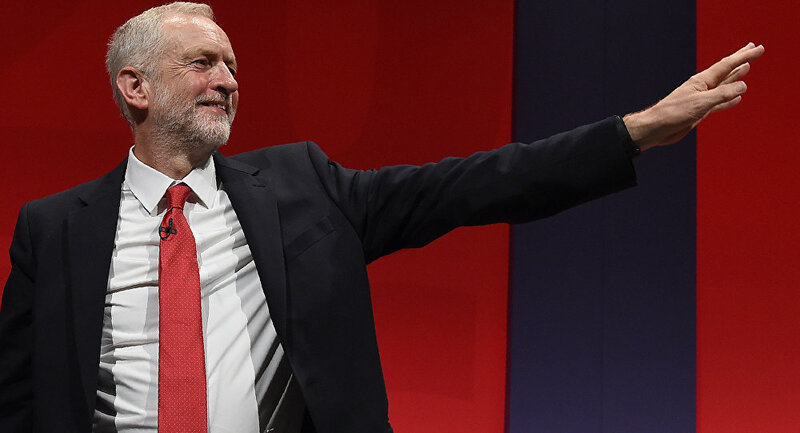 But there is now one thing that they cannot dispute: Corbyn is the people's choice and maybe the party, if it is destined to survive, should harness this to propel them towards a trajectory that their supporters clearly wish to take.